Industry-leading Procurement consultancy Source One Management Services earns its sixth-consecutive Green Supply Chain Award from Supply and Demand Chain Executive. Philadelphia, PA, December 12, 2017 --(PR.com)-- Top Strategic Sourcing services firm Source One Management Services, LLC is proud to accept Supply and Demand Chain Executive’s (SDCE) 2017 Green Supply Chain Award – marking the sixth-consecutive year the procurement experts have been recognized for empowering forward-thinking companies to achieve their sustainability goals. This year’s Green Award win closes out an exciting year for Source One, as the procurement services wraps up its 25th Anniversary celebrations. Throughout the firm’s two and half decades as a strategic sourcing services providers, Source One has helped countless companies achieve their sustainability goals. In some cases, companies are looking for suppliers that share their mission in delivering products backed by responsible for supply chain practices. Others simply seek Source One’s expertise in identifying cost reduction opportunities and are thrilled when the option is also environmentally-friendly – which was the case for one of the many sustainability initiatives behind Source One’s award nomination this year. A building products manufacturer client hoped to gain a competitive advantage within its crowded vertical by offering a low cost alternative product line. To gain market insight, Source One’s direct materials sourcing experts led a competitive bid process which uncovered a previously untapped area for budget optimization and sustainability within the product’s design: the ability to leverage recycled goods. By using recycled plastics and compression molding, the manufacturing client could offer their product at a lower price without sacrificing quality. The direct materials strategic sourcing engagement not only helped the client achieve savings that could be passed through to their consumers, but also allowed the company to gain further brand differentiation by offering a product unlike any of its competitors – one with a significantly reduced carbon footprint. Source One’s work with the building products manufacturer is a prime example of a consistent goal the strategic sourcing experts have when it comes to delivering green supply chain solutions: enabling companies to achieve the greatest value out of their budgets and meet their sustainability targets. Today’s consumers insist on ethical and sustainable procurement practices from their favorite brands. As a result, Source One’s mission to promote eco-friendly cost savings is more crucial than ever. In 2018, Source One looks forward to another year of combining social responsibility with effective Procurement practices. With these aspirations in mind, Source One will be relaunching its eSourcing platform WhyAbe.com early next year. With new contract management, reverse auction, and RFX capabilities, the revamped WhyAbe.com provides procurement professionals and teams with a hassle-free eSourcing solution for their supplier identification and sourcing needs. Supply & Demand Chain Executive (SDCE) provides news and insights from procurement and supply management leaders to more than 50,000 readers. The web and print publication offers solutions and strategies for optimizing supply chain operations across a variety of categories and industries. 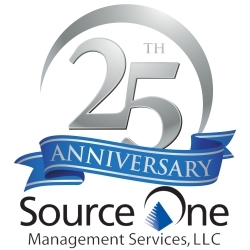 Since 1992, Source One Management Services, LLC has driven the evolution of Procurement and Strategic Sourcing from a tactical function to a more influential business unit. Today, they’re still the only consulting firm to focus exclusively on driving value through strategic approaches to sourcing, procurement, and supply chain management. Best-in-class companies trust Source One’s tech-enabled procurement team to leverage their market intelligence and category expertise to promote efficiency and enhance the ROI of their internal procurement operations. Taking procurement’s value well beyond cost savings, Source One aligns the department to address enterprise-wide concerns and dictate long-term strategy. Learn more about Source One’s Procurement and Strategic Sourcing leaders at https://www.sourceoneinc.com/about/consulting-firm-overview/about-source-one/.